Trump spoke out on the Mueller probe from the White House, saying, "we can never let this happen to another president again"
President Donald Trump addressed the media about the summary of special counsel Robert Mueller’s investigation into the Trump presidential campaign during an Oval Office meeting with Israeli Prime Minster Benjamin Netanyahu Monday. Special counsel Robert Mueller told Attorney General William Barr three weeks ago that he wouldn't be making a decision on obstruction of justice charges against President Donald Trump, a source told NBC News Monday. Barr and Deputy Attorney General Rod Rosenstein, who was also at the meeting, hadn't expected that, said the source. 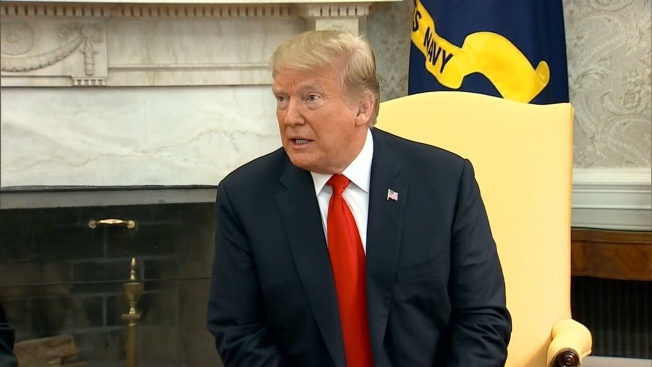 The pair ultimately decided there was no evidence requiring prosecution on the obstruction issue, Barr announced Sunday. Mueller had set out "evidence on both sides" of the question of obstruction and stated that "while this report does not conclude the president committed a crime, it also does not exonerate him." Congressional Democrats prepared to huddle behind closed doors Monday evening to plot strategy for their own investigations of obstruction of justice and Russian election interference, among other matters related to the president, following the release of Barr's summary. 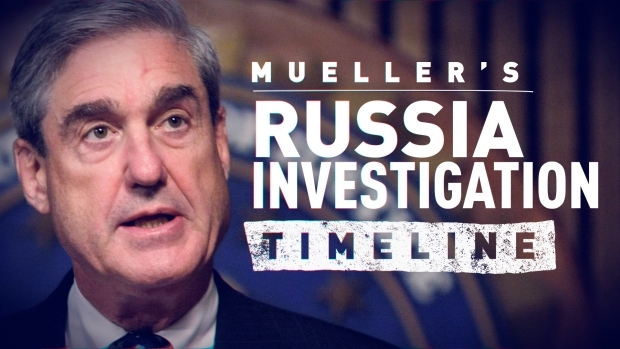 Barr's four-page document said Mueller did not find that Trump's campaign "conspired or coordinated" with the Russian government to influence the 2016 presidential election — knocking down arguments from Democrats who have claimed there was evidence of such collusion. 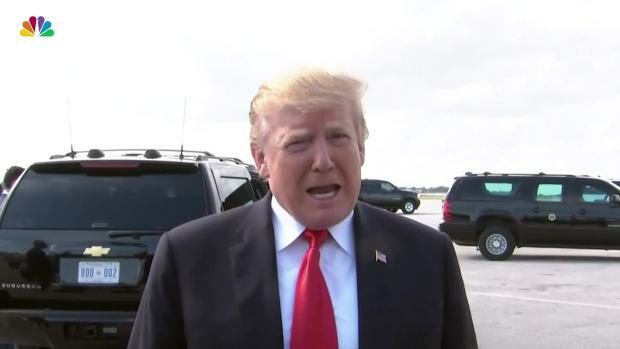 Even as Democrats clamored for the Justice Department to release the entire document and not just Barr's summary, Trump said Monday the release of Mueller's full report "wouldn't bother me at all." Having already claimed vindication from Barr's summary, he said that "we can never let this happen to another president again." As he has many times before, he suggested the investigation was tainted from the beginning and said it was a "terrible thing." He even accused those responsible for launching it of "treasonous things against our country" and said they "certainly will be looked into." Trump has spent months railing against former Justice Department officials, including former FBI Director James Comey, accusing them of an illegal witch hunt for the purpose of delegitimizing his presidency. He has also falsely claimed that the investigation was based on memos compiled by former British spy Christopher Steele, and even blamed former Sen. John McCain, who died last year, for passing the memos to the FBI. But the investigation began months before the FBI ever saw the dossier — and the FBI already had a copy by the time McCain turned it in. Trump, asked on Monday if he'd be OK with the release of the full report, responded: "Up to the attorney general, but it wouldn't bother me at all." Republicans followed Trump's lead, with Senate Judiciary Committee Chairman Lindsey Graham promising to "unpack the other side of the story" of the Russia investigation. Graham, who spent the weekend with Trump in Florida, said his committee will investigate the actions of the Justice Department in the Russia investigation, including the FBI's use of the Steele dossier. Graham's comments echoed Trump's own complaints Sunday in which he compared the probe to a failed coup and said those behind it should be held responsible. But Graham wouldn't go quite as far, saying he believed that the Mueller investigation was legitimate and had to happen in order to answer questions about Russian interference in the 2016 election. The South Carolina Republican also had a warning for Trump using his pardon power to help those who were ensnared by Mueller's investigation. "If President Trump pardoned anybody in his orbit, it would not play well," Graham said. Among those whom Mueller charged during the course of his investigation were the president's former campaign chairman, Paul Manafort, and his first national security adviser, Michael Flynn. Five Trump aides pleaded guilty and a sixth, longtime confidant Roger Stone, is awaiting trial on charges that he lied to Congress and engaged in witness tampering. 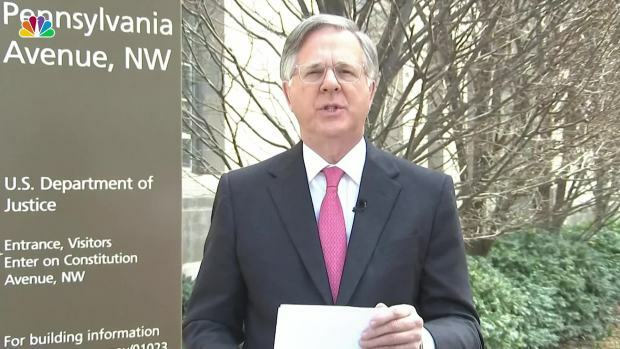 Monday morning, White House aides and allies blanketed television news broadcasts to trumpet Barr's letter and claim that Trump had been the victim in a probe that never should have started. Democrats said they were still waiting for the full report, in addition to the underlying evidence that Mueller used. "The fact that Special Counsel Mueller's report does not exonerate the president on a charge as serious as obstruction of justice demonstrates how urgent it is that the full report and underlying documentation be made public without any further delay," House Speaker Nancy Pelosi and Senate Democratic Leader Chuck Schumer said in a joint statement Sunday evening. "Given Mr. Barr's public record of bias against the Special Counsel's inquiry, he is not a neutral observer and is not in a position to make objective determinations about the report." In a joint statement, Nadler, House intelligence committee chairman Adam Schiff, D-Calif., and House Oversight and Reform Committee Chairman Elijah Cummings, D-Md., seemed to concede that collusion had not been found, saying they have confidence in Mueller, "notwithstanding the very public evidence of Trump campaign contact with and willingness to receive support from Russian agents." Ahead of their Monday meetings, Democrats discussed strategy in a flurry of calls over the weekend. Pelosi and Schumer talked repeatedly, including several calls Sunday from her home in San Francisco. As soon as Barr's letter arrived, Pelosi quickly convened a call Sunday with Cummings, Schiff and Nadler to go over its main points. They were on the same page with their response, according to a person familiar with the call. Nadler later held a conference call with Democratic members on the Judiciary panel and reiterated calls for transparency. Associated Press writers Catherine Lucey, Mike Balsamo and Lisa Mascaro contributed to this report.